Roll & Stroll -- Let's Cure Type-1 Diabetes! Gettin' Ready for Number 9! Roll & Stroll volunteers are gearing up for May of 2014 to continue building on the successes we've discovered over the first eight years! In order to do that, we'd love your help! 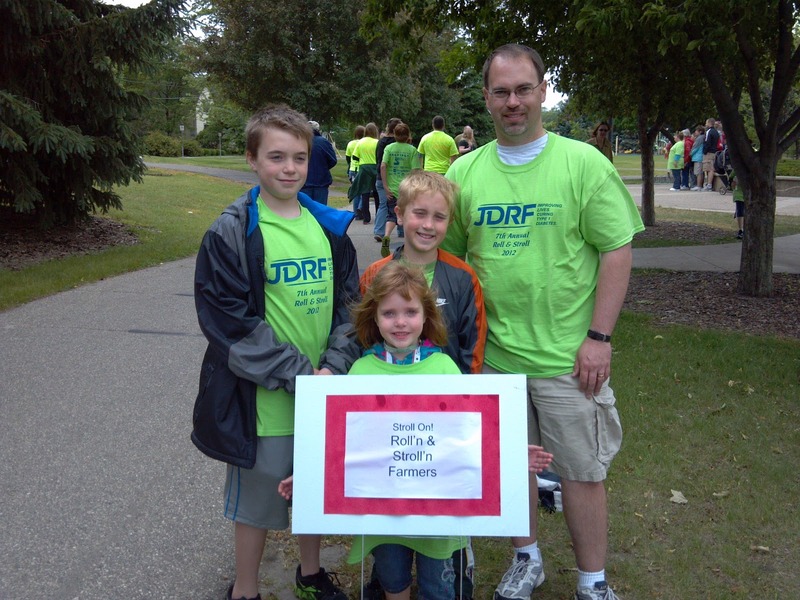 The Roll & Stroll (Walk to Cure Diabetes) is JDRF's signature event. We are a massive community in action. The Walk is not all about walking, it is about sharing, celebrating, and most of all, Making a Difference! The 2013 Roll & Stoll raised a record breaking $113,000! With your Help we know we can keep the momentum going. When: Tuesday Sept 24th from 6-7pm (drinks and light appetizers will be served). Where: Wicked Moose Bar & Grill - 1201 Eastgate Dr SE, Rochester. Please come and join us, as you'll meet some people and learn about numerous Roll & Stroll volunteer opportunities for the 2014 event. 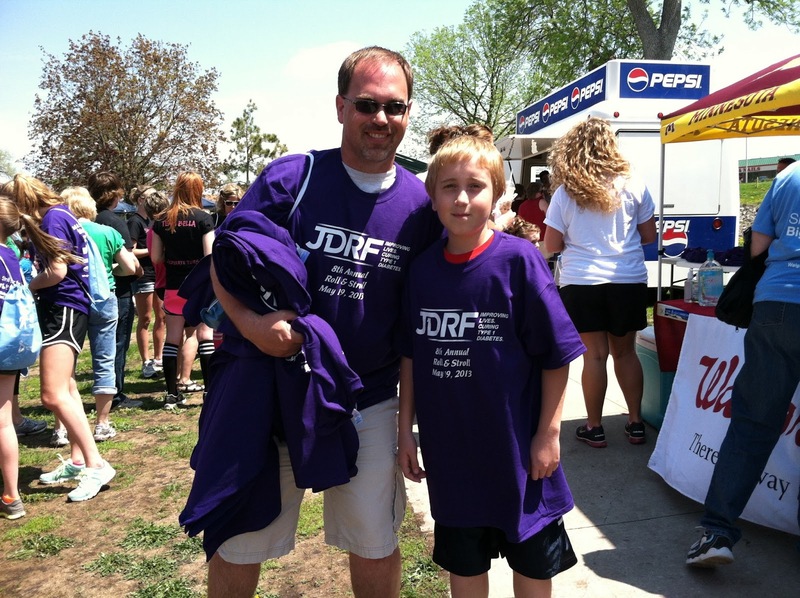 To RSVP or for more information, contact Kara at kfischer@jdrf.org or call 952 851 0770. ... and the sun shined! $104,000 worth of shining! 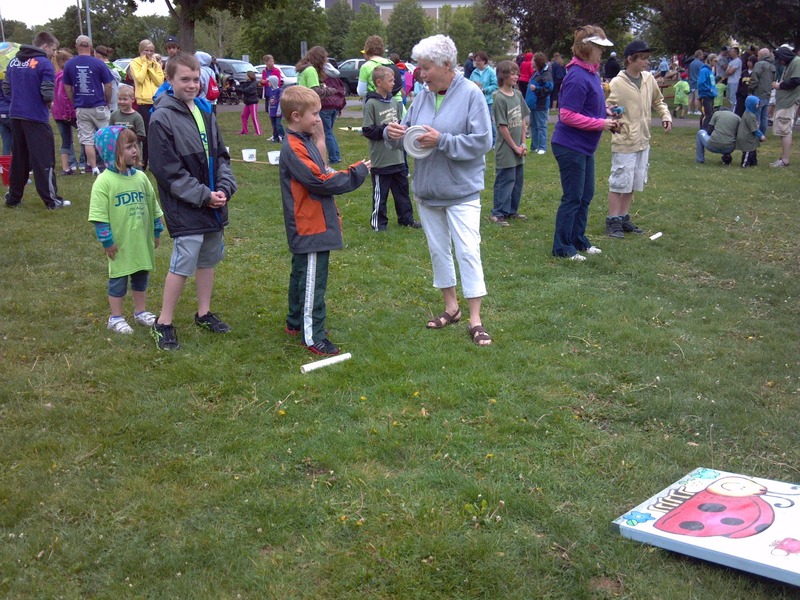 Thanks everyone for coming, contributing, supporting the 2013 Roll & Stroll for JDRF! With your help, we are able to raise over $104,000! That is simply amazing. Thanks again.. and WOW! Fantastic! If you have any pictures you'd like to see shared on this blog.. please email them to rollandstroll@hotmail.com Thank you! Well, for 7 years we've been dodging the testy weather, let's hope we can do it again! We plan to hold the event Rain or Shine... Currently the worst of the weather appears forecast for late afternoon... if it remains that way, we may tighten up the agenda, and shorten the walk distance. Please plan to come and be part of this great fundraising event Rain or Shine! Below is the current plan, agenda-wise.. again, note, if weather dictates, these times could tighten up. The 8th Annual Roll & Stroll is upon us! Lots of great additions this season... amongst the greatest of which is 27 new teams! TWENTY-SEVEN! Wow! Additionally, Hy-Vee is on board catering a picnic lunch of hotdogs and chips.... be sure to hit registration before heading to the food truck. We're also taking less chances with the wonderful weather we've had in the past... this year we'll have tent to tuck under, just in case! You may have already seen this PSA... but check it out, as Robin Wolfram and Alan Reed will be with us... which means, FUN! 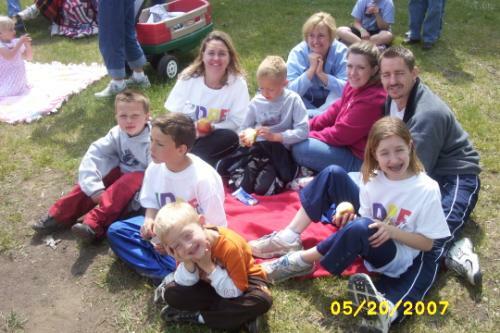 Things just keep moving in the planning arena as our May 19th Roll & Stroll for JDRF approaches! The Bears Den Panckake Feed was a big hit... we raised $1394 for JDRF! Many thanks to everyone who was able to attend, wished us well, volunteered or otherwise made a contribution! This was the 4th year the Den hosted the event... We are so very grateful for their support! Scarppin' for a Cure is also coming right up! Kim has been running this event for several years now, and they always have a blast! The event is an all day / night type of event... Starting April 20th at 8am.. and scrappin' up (haha.. I'm funny, wrappin' up) at 3am on April 21st! You're generous donation of just $55 get's you the following! 18 hours of scrapbooking/card making/crafting FUN! Silent Auction (All money to JDRF!) – closes at Midnight. 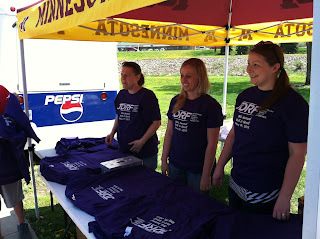 Of course, then comes Roll & Stroll for JDRF on May 19th from 1-4pm ! We're back at Soldiers Field for a great walk, run, bike ride.. whatever you like. Lots of games, prizes and a silent auction! -- Don't forget the DJ! Alan Reed is back behind the mic! Mom's, Walk & Pancakes! - What a combo! Please join us on Thursday, February 21st, for our next Mom's Night Out! 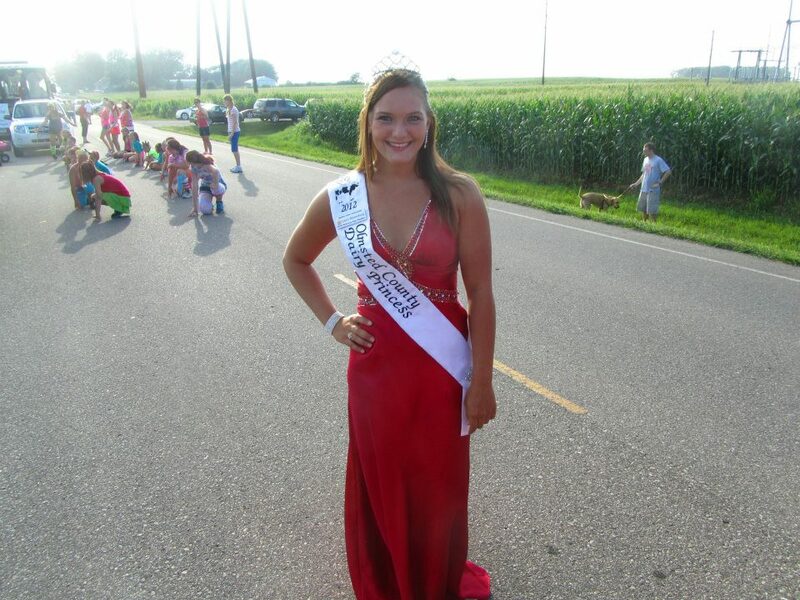 Thursday, February 21 at 7:00 p.m.
Princess Kay of the Milky Way finalist! Saturday March 2nd from 7:30-10:30am. Come join us at the March 2nd Pancake Feed for JDRF at the Bears Den in Byron.... along with great food you'll have a chance to meet Laura Mesenburg... Princess Kay of the Milky Way finalist! Laura is awesome in our Southeast Minnesota community, and we're very happy she is coming to support our event! She'll even have her ButterHead with her! What's a Butterhead? Tradition of course, all finalist have their likeness carved from butter! The picture below captures the butter head carving.... and below that is Laura getting ready for the Byron Good Neighbor Days parade. Bring your kids... and meet the princess! Come join us in planning the 2013 Roll & Stroll! Our next planning meeting is scheduled for Feb 6th at the Public Health building in Rochester. We start at 5:15pm, but if you can't be there quite that early, just come as soon as you can! All are welcome! The Roll & Stroll planning committee is hard at work making sure the May 19th event is even better then years past! You'll see some improvements in the area the prize give-aways... additionally, we'll add tents and tables this year! There are a lot of ways to get involved prior to Roll & Stroll as well. Tuesday, January 22 - Mom's Night Out! An excellent chance for area Mom's to meet in a fun environment. If you can't make it on Jan 22nd, keep the following dates in mind.... Feb 21st, March 19th & April 19th are all dates for future Mom's Night Out. March 2nd - Come for an All You Can Eat Pancake Feast at the Bears Den in Byron. All proceeds will benefit the Roll & Stroll for JDRF. It's a great way to meet people and helps raise some dollars for the cause... Bring the whole family! March 24th - Join us at Bounce World in Rochester as JDRF provides an update on research, and provides fundraising tips. Bring the whole family! If you'd like to bounce after the food and presentation, you can do so unlimited for just $5.50. 1:30 – 8:00 PM: Unlimited bouncing for anyone who is interested. 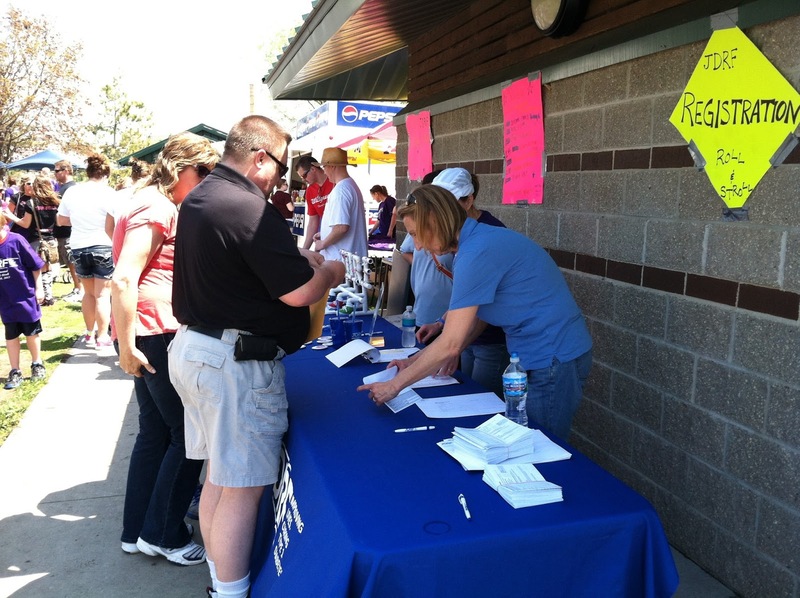 The May 19th Roll & Stroll is approaching and registration is Now Open! You can register as an individual walker, register a new team or re-create a previous team... easy! 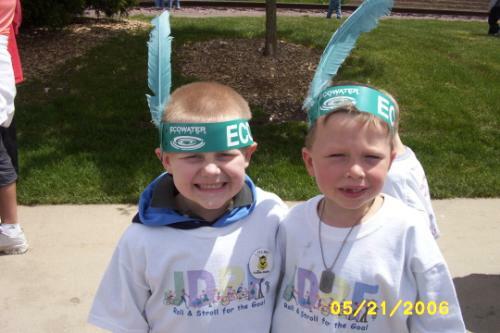 Just follow this JDRF link to find the Roll & Stroll for JDRF! January 22nd is the next Mom’s Night Out! This gathering is geared towards moms of children with type 1 diabetes. Nights out are scheduled at area restaurants and intended to be an opportunity for moms to get out for a fun evening of camaraderie and support. More news to come regarding our sponsors, both returning and new! Additionally, check back for information on some upcoming events, including a Pancake Breakfast, a Scrappin' party, and a totally fun afternoon at Bounce World! Roll & Stroll is excited to announce we've received a new sponsor in BCF Technology USA. BCF team members found a way to get some exercise while raising funds for Charities. The more they exercised the more they were able to contribute! Very good idea! 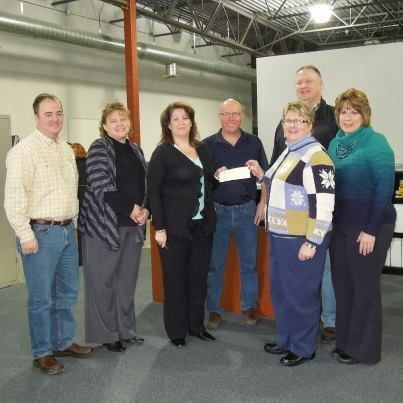 The picture below shows Sara and Shelly (both far right) receiving the check at the BCF Office. Another planning committee member, Wendy, is not pictured but taking the photo. Thanks BCF and welcome aboard! Feel free to stop in to our Planning Committee Meeting to see how things are coming along, and to consider if you might be interested in joining the committee. Our next meeting is Monday, Nov 26 at 5:15pm.at Olmsted Public Health Building at 2100 Campus Drive SE. Come to the front entrance, and follow the Roll & Stroll signs. Below are a couple of pictures from the 2012 event, courtesy of Matt Farmer and family. Games for fun.. and a chance to win prizes! Each pre-registered Team is recognized along the course! Hey Everyone! It was a little misty from time to time, with a slight wind chill... yet that didn't deter you from being amazing! We are still awaiting a count on 'total dollars raised' but one thing we know for sure, it was fantastic! 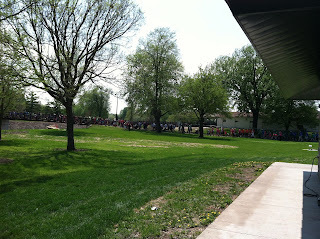 For now, here are a few shots of the day... we have many more pictures to share, so that slide show is in the works! Thanks so much to all the volunteers, and people in attendance at the Pancake Feed this morning! Thanks to your support.. we just raised over $1200! Very sweet! Below are some pics from this morning... what fun! Don't forget to join us on May 20th at Roll & Stroll at Soldiers Field in Rochester! Lots 'O Stuff Going On! 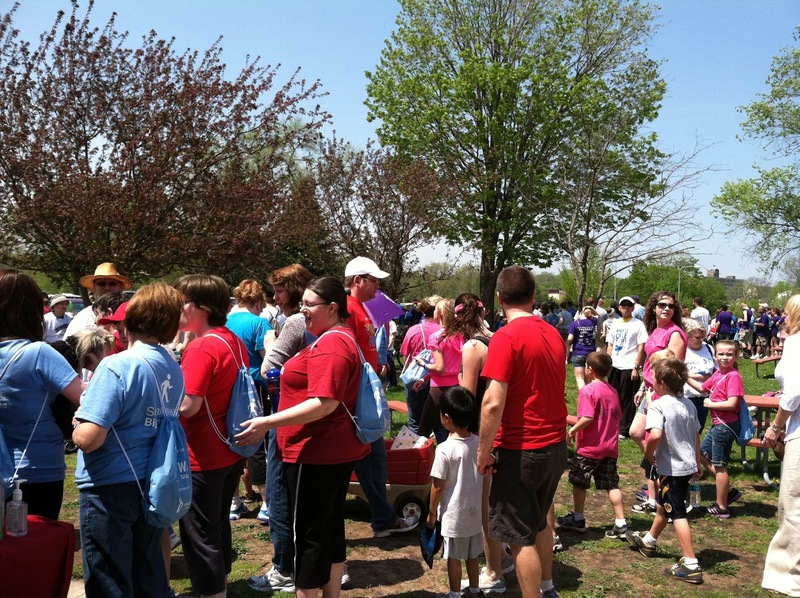 The May 20th Roll & Stroll is fast approaching! Below is a link to create or join a walk team. You can also donate to a walker at this link. Check it out! The next Mom's Night Out is just around the corner... check out the details below. This group is a Mom’s Night Out, for moms of children with type 1 diabetes. Nights out are scheduled at area restaurants and intended to be an opportunity for moms to get out for a fun evening of camaraderie and support. 3rd Annual All-You-Can-Eat Pancake Feed for JDRF Type-1 at the Bears Den in Byron. Join us Saturday April 28th to help us get a step closer to finding a cure! We are very thankful to the Bears Den for their support (they are typically open for breakfast... but each year they agree to support our fundraiser! That's Awesome! Research Update! Laser Tag! .. and more! Come join us at the House of Bounce on March 25th for an exciting update on Type-1 Research. The information is priceless, and it's followed with Pizza & Pop... and unlimited use of laser tag, monkey bounce, games and slides! The House of Bounce is our host on Sunday March 25th from 12:15-5pm! Space is limited so please RSVP to Kara at kfischer@jdrf.org by March 21st to save your spot! House of Bounce is located at 6301 Bandel RD NW in Rochester. It's time for another Mom's Night Out! Tuesday March 20th 7pm, the mom's are meeting at the Olive Garden in Rochester. It's great chance to meet others who are connected to and impacted by Type-1 diabetes... what a great network to have the opportunity to join! Scrappin' For a Cure is set for April 14th...9:00 am Sat. until 9 am Sunday! - at the Lanesboro Community Center. Food, Door prizes, Silent Auction - Contact Kim atjshalvor@acegroup.cc or 507-421-7174 for more details and to register. This has been a successful event over the past years, and many are looking forward to scrappin' again! 3rd Annual All-You-Can-Eat Pancake Feed for JDRF at the Bears Den in Byron. Join us Saturday April 28th to help us get a step closer to finding a cure! May 20th - 7th Annual Roll & Stroll! 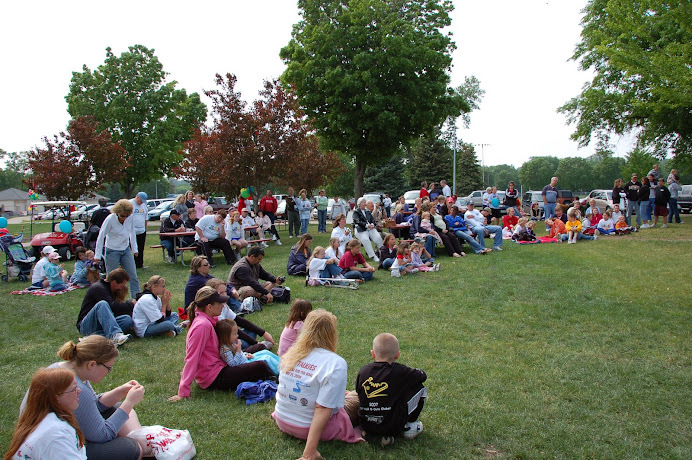 Join us at Soldiers Field in Rochester, MN for another great day of family, friends and fun! Year after year you continue to amaze... we're so looking forward to seeing you all again soon! The day will once again be filled with music, games, prizes, a silent auction.. and of course, the spirit of a cure! There is no minimum registration fee.. but $100 raised with snag you a fantastic Roll & Stroll t-shirt! Thursday, February 16 - 7:00 P.M. Roll & Stroll! - What's up? Hey all.. we're getting geared up for another successful Roll & Stroll to be held on May 20th! There's a lot going on.. check it out below! -- check back, as we'll add details regarding the next area "Mom's Night Out"
Our next planning meeting is Feb 6th 5:30pm, at the Olmsted Public Health Building, located at 2100 Campus Drive SE, Rochester. Scrappin' For a Cure is set for April 14th...9:00 am Sat. until 9 am Sunday! - at the Lanesboro Community Center. Food, Door prizes, Silent Auction - Contact Kim at jshalvor@acegroup.cc or 507-421-7174 for more details and to register. This has been a successful event over the past years, and many are looking forward to scrappin' again! Pancakes for a Cure-Sake, is set for April 28th from 7;30-10:30am at the Bears Den in Byron. The Den has raised over $2000 for JDRF through the past pancake breakfast events. Tuesday Jan 17th! Mom’s Night Out, for moms of children with type 1 diabetes. Nights out are scheduled at area restaurants and intended to be an opportunity for moms to get out for a fun evening of camaraderie and support. Come join the festivities at the Wicked Moose... it's an Oktoberfest celebration, filled with music and beer tasting. $10 at the door... with proceeds going to JDRF! Wow.. we're off to a roaring start as we lead up to the May 15th Roll & Stroll! Thanks to the following side events... for some great dollars raised! We're also looking forward to haering the results of Kim's Scrappin' for a Cure! Watch for some friendly faces talking about Roll & Stroll on the news over the next few weeks. KAAL is our Media Sponsor, and they are behind us! They will run several PSA's with the In Your Neighborhood segment. May 12th, live interview with Tom during the 6am news. If you visit their website at kaaltv.com you will find a link to DONATE or Join A Team on the right hand side of the website... be at sure to visit! Betsy Singer will join us on walk day! KAAL has a team walking with us! May 9th - Shelly will be joining the noon News.. sharing our story. Check back later this week to learn more about this years Team Spirit Award! Looking forward to seeing you all! Lots of things coming up! Hey all.. Roll & Stroll is on track for May 15th... but in the meantime, there are many ways you can connect! Roll & Stroll Committee Meeting is Monday, April 4, 2011 at 5:30 pm in the Public Health Building, Rochester. Thank you Wendy for making the room arrangements. Wendy's Night: April 7, 2011 --- 5:30 - 7:30 pm --- 55th Street, NW Rochester. Back by popular demand.... the Roll & Stroll T-shirt design contest! 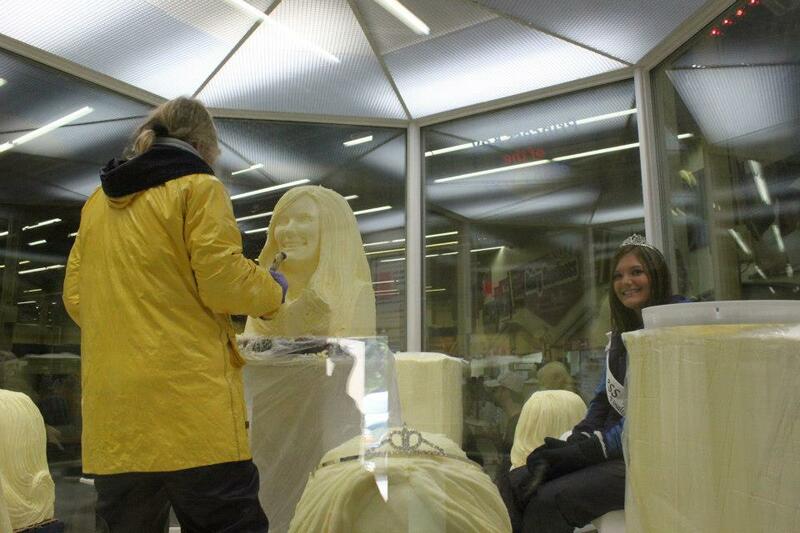 The winning design will receive a fantastic prize, along with seeing others wear their artwork! Start thinking of designs now! Details about the contest will be coming soon... Looking forward to seeing you all again! While the planning for Roll & Stroll is well underway,we wanted to let you know of other Fundraisers coming in support of our efforts! Saturday April 9th 7;30am to 10:30am: The Bears Den in Byron is hosting an All-You-Can-Eat Pancake feed... This is the 2nd year the Bears Den has stepped forward with this great support! Saturday April 16th 9am-3am! 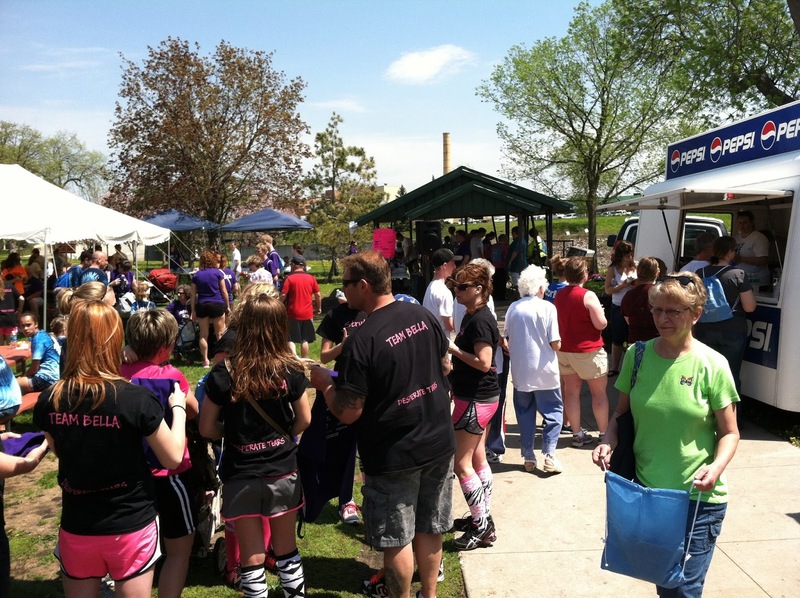 : Scrappin' For A Cure in Lanesboro.. Details below. 18 Hours of Scrapbooking, card making & crafting fun! 3 Meals and lots of snacks! Many chances to win Door Prizes! Great Silent Auction - all money goes to JDRF! Stampin' Up Make & Takes - proceeds to JDRF! Stampin' Up and Creative Memories consultants will be onsite with products for sale... 10% will go to JDRF. Registration Deadline is March 25th. What: Roll & Stroll is people coming together to raise money for the Juvenile Diabetes Research Foundation, while showing support for those we love. This years event is estimated to take us over 1/4 Million dollars raised! Great work everyone! Why: There is no cure. Type 1 diabetes can affect many major organs in your body, including your heart, blood vessels, nerves, eyes and kidneys. Eventually, diabetes complications may be disabling or even life-threatening. We'll be sharing details on all these fun happenings, as well as new side events that are popping up all around the area! Check back regularly! Our current fund raising totals are in.... and thanks to all your efforts, we increased significantly over 2009..... wow... we just love all of you! Roll & Stroll 2010 has raised over $44,000! You people are amazing! We're so lucky to be surrounded by so many who want to make a difference and help fund research for a cure! This family friendly event is organized by local families who are touched by diabetes. We promise a day filled with friendship, camaraderie, games, music and FUN! Bike, walk, rollerblade, skateboard, jog or push a stroller/wagon, etc. along a 3 mile course (1 1/2 miles out & back) starting at Soldier's Memorial Field. 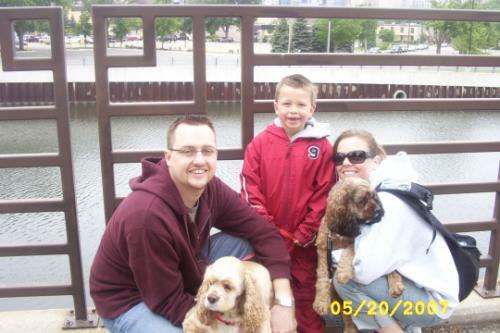 Roll & Stroll benefits the Juvenile Diabetes Research Foundation (JDRF). JDRF's mission is to find a cure for diabetes and its complications. Over 85% of all funds raised goes directly to research. The 2nd annual Team Spirit will be award at this years' Roll & Stroll! Your team will be asked to march past the judges and will be judged on team attire! Be creative, have fun! Click HERE for some team spirit ideas. 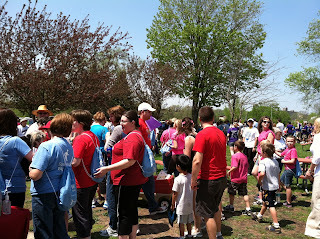 Registration for the 2010 Roll & Stroll is managed via the JDRF National website, "Walk Central." After registering, you can return to Walk Central whenever you'd like and take advantage of the handy online fundraising tools to create your personal fundraising page, track online donations, and watch your goal thermometer rise! Click HERE to go directly to the Roll & Stroll registration page! 1. Click on "Register for This Walk"
3. Select "Team Walker." If you had a team last year, use the pull-down menu to locate the team name. If you are NEW, then click on CREATE A NEW TEAM. Enter additional information and click "Continue." 4. To use the online fundraising tools at Walk Central, create a username and password (you must enter a new one each year).